Hever Castle is a tranquil place – renowned for its beautiful garden, mazes and lakes, not to mention being the childhood home of the nation’s tragic queen, Anne Boleyn. With the oldest parts dating back to around 1270, it was was originally a country house. Anne Boleyn’s father, Thomas, was born there in 1477 and inherited the Castle 28 years later on the death of his father, Sir William Boleyn. What’s this all got to do with golf? The castle passed through many hands down the centuries until, in 1903, it was bought and restored by the wealthy American businessman William Waldorf Astor. In the 1920s, he built a nine-hole course at Hever for his own personal enjoyment .It was abandoned during the Second World War before it was refurbished where today’s Championship Course now lies – about a mile from the Castle’s main entrance. The present day course was built 24 years ago, with a second nine-hole layout, the Princes, opened in 1998. I have noticed that they offer some excellent occasional offers for the travelling golfer. 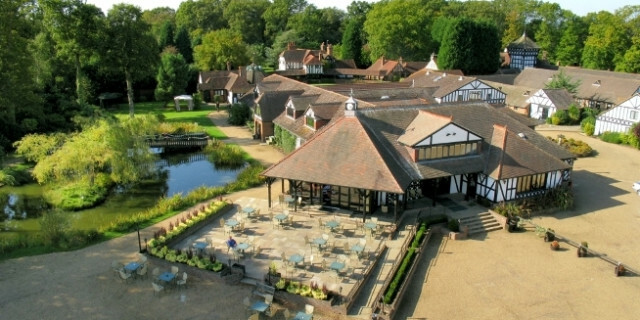 Please check out the Hever Castle accommodation options or Golfbreaks for their latest breaks. 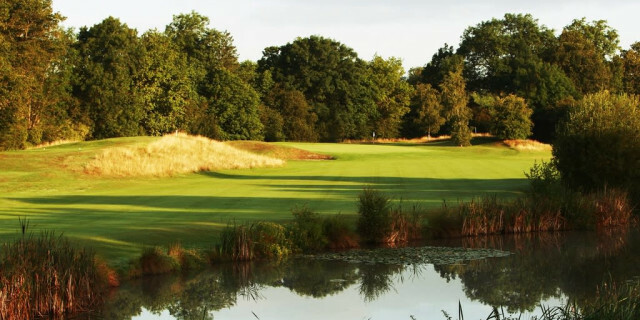 Coming to Hever Castle, the driving range and short game practice area are excellent and the versatility of having access to a 27 hole layout is certainly a bonus. The Pro Shop was well equipped and the staff friendly and accommodating. There is also a quality indoor golf studio available. This is the epitome of a modern golf club offering lots for members and the casual visitor alike. I really enjoyed the spike bar and the home made food offered was excellent. All the staff we met were friendly and knowledgeable. This is an impressive venue that provides all you are likely to need as a visiting golfer. The nines are each known as Kings, Queens and Princes. The King and Queens combined provide an excellent championship test. The Championship course measures more than 7,000 yards from the tips, but it’s playable for all levels of golfer from the forward tees. It was the Kings and Queens 18-hole configuration that hosted a PGA EuroPro Tour event in 2010, won by Matthew Evans. I really liked the 2nd hole which is a short par four of 357 yards from the white tees. An elevated tee position provides a good view of the potential hazards. The bunker guarding the right portion of the green visually dominates the tee shot. Its prescience cleverly distracts from the hazard caused by the pinched sloping fairway protected by a substantial lake to its left. The left of the green is further protected by tightly cut slopes guiding any mishit shot into problem areas. Good positional play is the secret to good scoring on the Kings course. The 4th in particular requires tight navigation to deal with the double dog-leg. The trees guarding this hole are all well established and provide serious hazards for any less than perfect play. No bunkers are necessary here. The 6th is a well presented par three measuring 136 yards from the championship tees. Water is in play both visually and actually along its right hand side. Mature trees border the green and cross winds are a definite consideration. The 8th is another very well presented par three 191 yards from the championship tee. A lake in front of the tee complex should not be a problem but it does impose visually. The green is elevated, protected right and left by bunkers. To the front and back are closely cropped slopes that gather any short or long ball. The green is receptive and true but a good length shot is required to score on this hole. I really enjoyed the sequence of holes from the 11th through the 13th. All feature water prominently but they reward a sensible, strategically placed tee shots. Water features on around half of the course but the major threat to a good score is the mature trees that patrol most fairways. 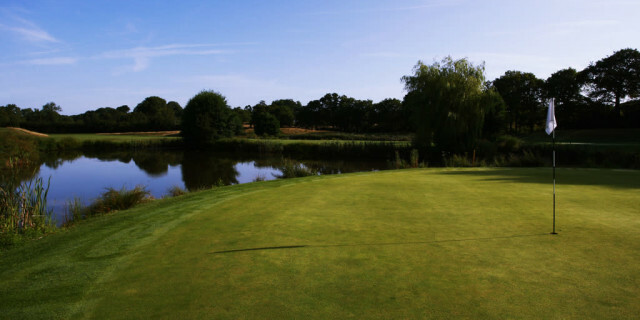 In my opinion, the 164-yard 12th is perhaps the prettiest par three at Hever Castle, which affords lovely views and also threatening water in front of the putting surface. This a lovely hole from the tee box and the green is not easy to hit and hold. I also clearly remember the monster 644-yard par five 17th that will test the mettle of every player so late in the round. It’s the tee shot that’s crucial at this hole, which dog-legs to the right with water on both sides of the fairway corner. Hever Castle is within an hour of London and is easily accessible. 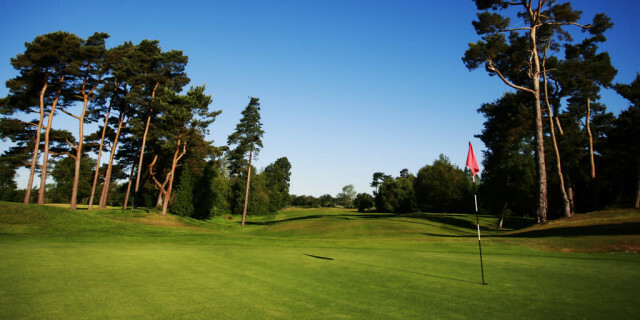 It is not a traditional heritage based golf facility but it offers exactly what the market seems to crave for at the moment, providing good quality golf for members and visitors in a friendly, comfortable course that is well maintained and designed. The great practice facilities are also a real benefit to any customers. Add to that the range and quality of accommodation and I can do nothing more than give it a real thumbs up. Playing this course was a thoroughly enjoyable all-round experience.